Many of us grew up with parents reminding us to look up when we walk. They feared we weren’t aware of cars or people walking around us, afraid that if we were watching our feet, we wouldn’t be watching our surroundings. Well now, we at SpeedPro are encouraging you to look down at your feet again! We can argue that even if you’re looking at the ground, it doesn’t mean you can’t also see what’s approaching ahead. With our floor graphics printing options, we invite you to let your attention be guided by what’s at your feet. If your business is located in or around Harrisburg and you’d like to bring some visual “pop” to your office, contact our studio! 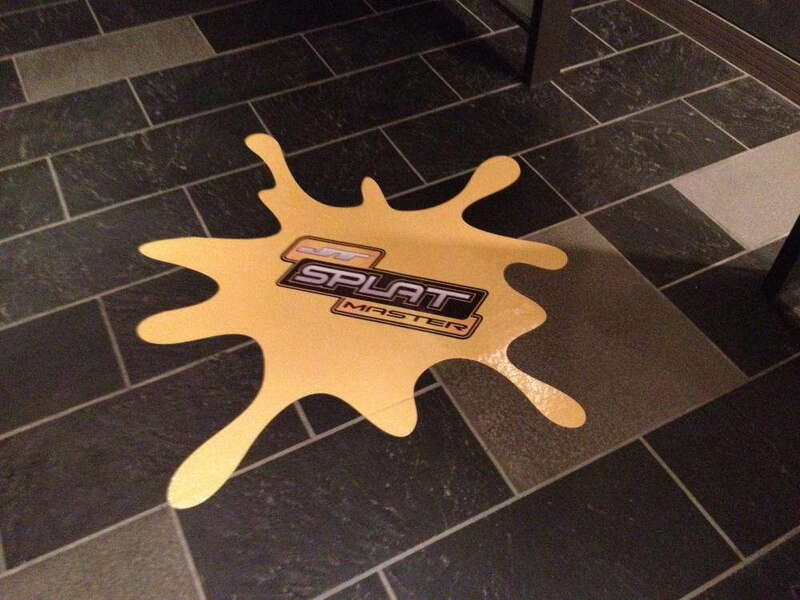 We’d love to introduce you to our custom floor graphics and see what fits your space best. It’s true that as you walk in public, you should be conscious of your surroundings. Looking up and around will help keep you safe, as opposed to only staring at the ground, which narrows your line of vision. But floor graphics help your vision too — as you look down, your eyes will naturally drift forward to acknowledge what may be up ahead. With most people nowadays owning smartphones, it’s hard to be in a city and not observe people walking by with their head down, focused on their screen. Floor graphics are placed directly underneath their line of vision — combined with our bright and vivid inks and colors, their attention will be pulled away from their phones to your branded design. There’s also a very cool aerial aspect of floor graphics. You’ve probably already seen this from sports arenas and stadiums — how a basketball court or football field is centered around logos and graphics. Having a decal in the center of the action gives a wholesome feel to the atmosphere and will attract attention. Imagine if that was your business featured on the court — you’d almost definitely see an increase in interest! Whether you’re covering carpet, hardwood floor or outdoor asphalt, SpeedPro Imaging Harrisburg provides solutions for all your needs. On carpets, we can print and paint a fade-resistant design directly or print and transfer a graphic. Our vinyl floor graphics are ideal for smooth indoor floors for permanent options. The design will be boldly featured on the ground, showing off vivid inks. 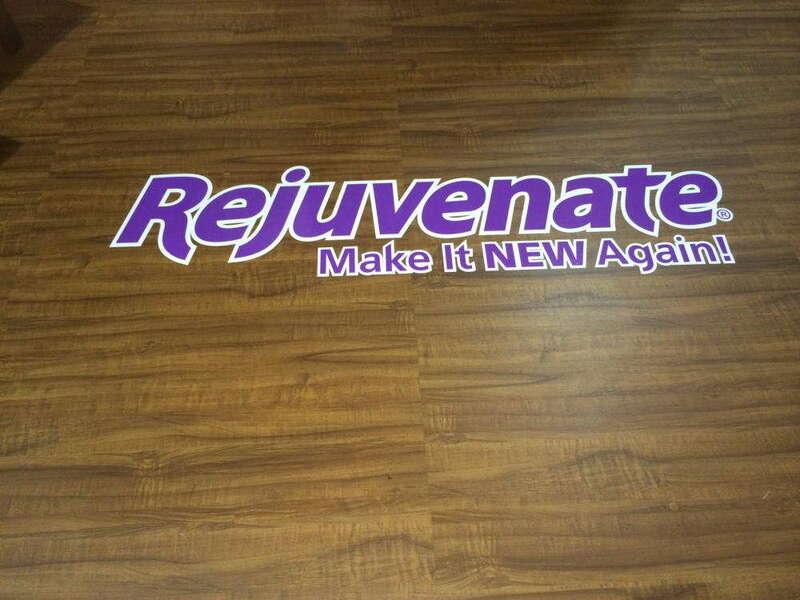 If you’re looking for something removable and more temporary, floor clings can be customized to feature your brand. 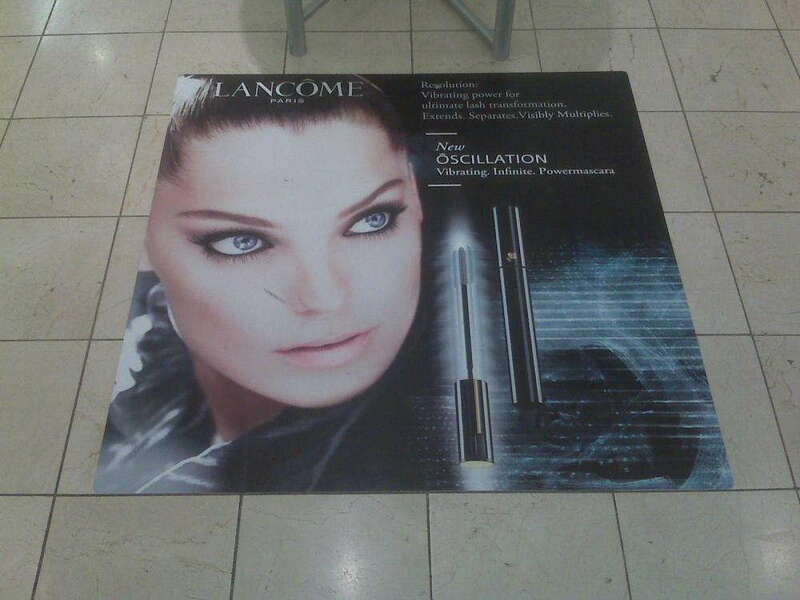 We can also print floor graphics for outdoor use. Whether you’re covering the steps into your building or customizing the walkway around your outdoor event, our team can use our experience to determine the best application for you. If the idea of featuring your business and products at your feet intrigues you, come in to our studio today. Our team will work directly with you to ensure you receive the visual design you need for your brand. We’re excited to start working with all of our local businesses in Harrisburg, York and Carlisle — including you!